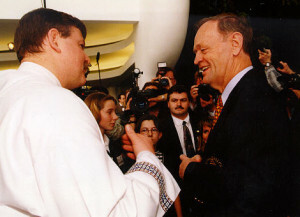 Generations Can Connect is a project idea that had it’s roots in an exchange in the spring of 1998 between teacher Bill Belsey and Canadian Prime Minister Jean Chrétien at the Government of Canada’s Millennium Projects kick-off event at the Museum of Civilization in Hull Québec. 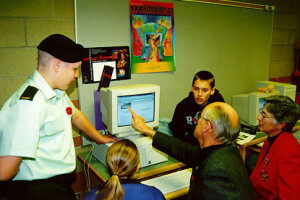 Mr. Belsey shared his vision of a Canadian “National Digital Youth Corps”, in effect young people using digital tools to record the thoughts, memories, stories and artefacts of the nation’s older persons. Seniors being the very living history of our time. Youth and seniors represent true “National Treasures”. Generations Can Connect is the evolution of this vision. Bill Belsey is interviewed about the Generations CanConnect Project on The Infinite Mind radio program.